Fleas and ticks are a nuisance to your pet, but they can also cause a health concern if they are not controlled and removed from your pet’s body. Low cost flea and tick treatments require more attention and work than other treatments. Treating your pet for fleas and ticks can use natural ingredients that are less harmful to the health of the animal. The flea comb has very fine teeth that remove the fleas and eggs from your pet’s fur. Using a flea comb is an easy and cheap method to keep the flea population on your pet under control. The comb is used on every inch of the pet’s fur, beginning at the head and ending at the tail. Most pets enjoy the use of the flea comb on their fur. Pet owners keep a dish of soapy water on hand to clean the comb and kill the fleas between strokes with the flea comb. During tick season, it is a good idea to check your animal if it spends time out of doors every night. Ticks can be very small before they begin to engorge on blood. The flea comb helps to remove ticks as well. Long- haired pets may be shaved during tick season to make finding the tiny bugs easier. Adding garlic to your pet’s diet will keep it free of the tiny bugs. This treatment may take a while to be effective in the flea population on your pet, but in a few weeks, the fleas will be repelled from biting the animal. Dietary supplements added to the animal’s diet include sulphur and black walnut. 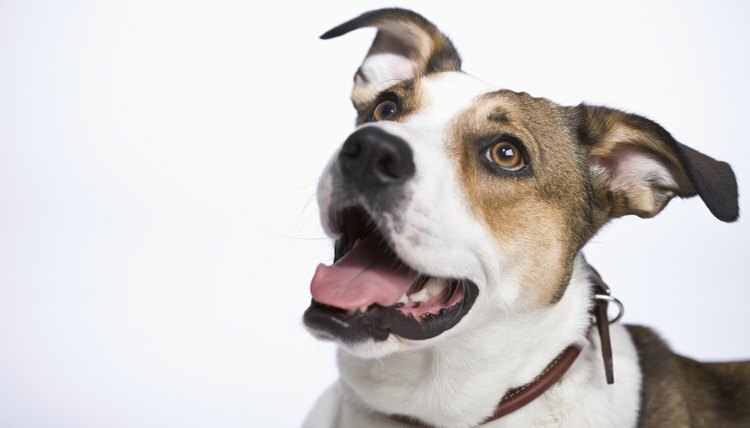 Brewer’s yeast added to your pet’s diet also repels fleas, according to Dr. Anna Maria Gardner. Healthier animals naturally repel fleas and ticks. Homemade recipes with herbal ingredients are an inexpensive way to control the fleas on your pet. Try 1/4 tsp. of eucalyptus oil in an 8-oz. spray bottle to clear the home and your pet of fleas. Treating the carpets and furniture with the spray will ensure that the flea infestation is controlled. The oil will not hurt your pet, but you should check with your veterinarian to be sure. Fleas and ticks are repelled by the smell of eucalyptus. Bathing your pet every couple of weeks is an inexpensive way to eliminate the fleas on your pet. Cats may be difficult to bathe, but it is a natural way to keep fleas under control without the use of toxic insecticides in flea collars. You must also treat the furniture and carpets in your home in addition to bathing your animal for fleas. When the fleas live in the carpet and bedding that your pet sleeps on, they will simply jump back on your pet after the bath. Flea control takes time and patience to rid the pests from your home and pet. Bath time is an opportunity to give your dog or cat a check for any that are embedded in the skin.